These images were taken early, about 7:00am, on a foggy morning at the beach. Morning light is a cooler light but glorious in its own way. 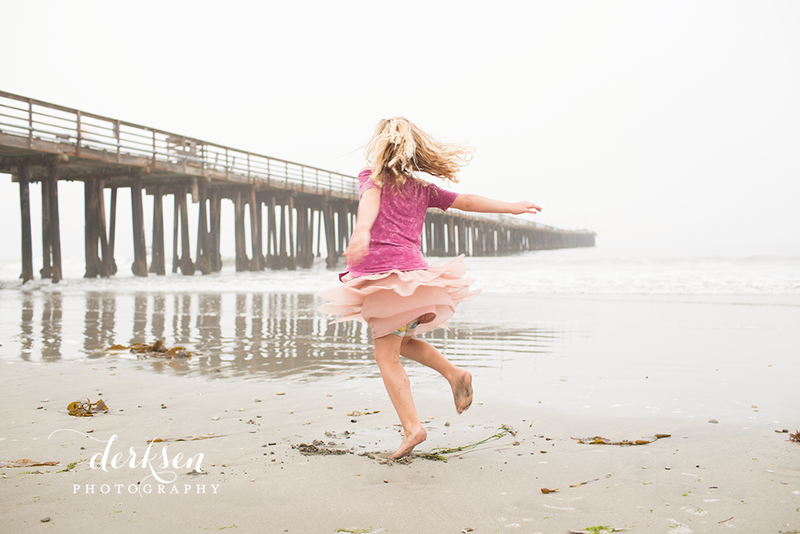 This little miss did not prefer to sit still as much as she loved to run, twirl, and do cartwheels on the sand. And I just love capturing that kind of stuff. Bring on the personality. 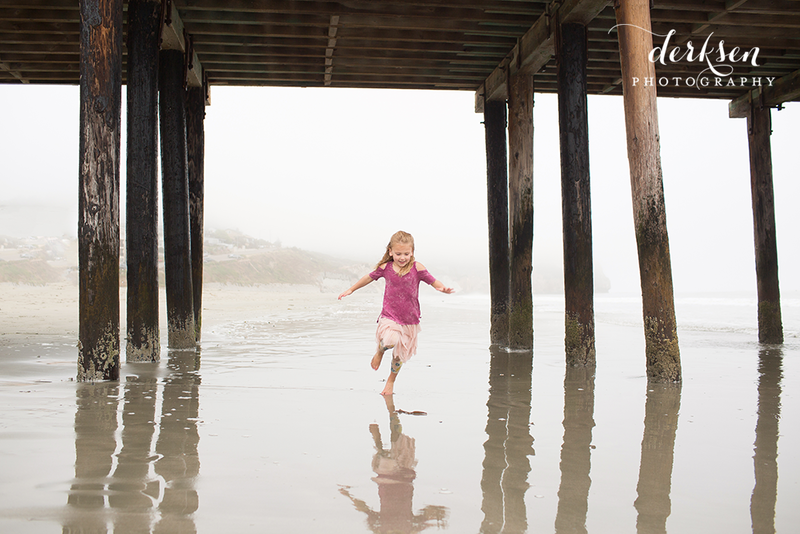 Bring on the playfulness. Here are the manual settings that I used when photographing this sweet girl….